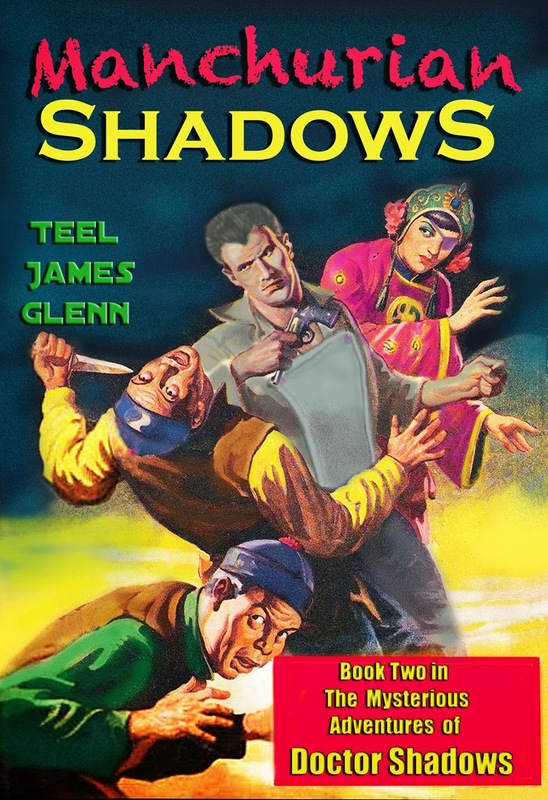 Manchurian Shadows is the second book featuring Teel James Glenn's New Pulp character Anton "Dr. Shadows" Chadeaux. I am currently reading the book, and there are allusions to Doc Savage, the Shadow, the Spider, Thunder Jim Wade, the Green Ghost (George Chance), and the Green Lama (under his alias of Dr. Pali, misspelled "Pauli" here.) The Dr. Shadows story take place in the same universe as Glenn's collection Weird Tales of the Skullmask and his books about journalist Moxie Donovan, both of which also have crossover references to classic pulp characters. In addition, Glenn's e-book Secret of Wolf Island, which is set in the present day, features private eye Jonathon Shadows, Dr. Shadows' son. Was Thunder Jim Wade in the CU before this? Pro Se Press has put out an anthology called THE NEW ADVENTURES OF THUNDER JIM WADE. My buddy Frank Schildiner's story has Cthulhu Mythos tie-ins, Barry Reese's story mentions the Kafe Klaris from ABBOTT AND COSTELLO MEET THE MUMMY, and another story whose author I've forgotten has a villain using vril energy. I haven't read the book all the way through yet, but those are the ones I caught while skimming through my copy.